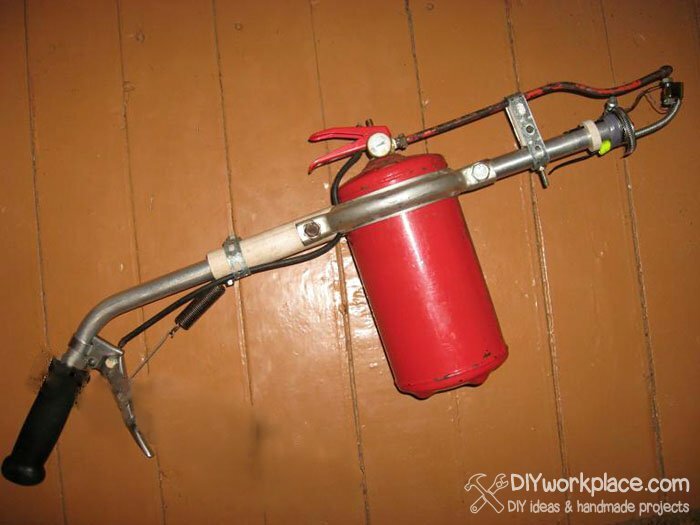 I made this a flamethrower for a school science competition and successfully take the first place. 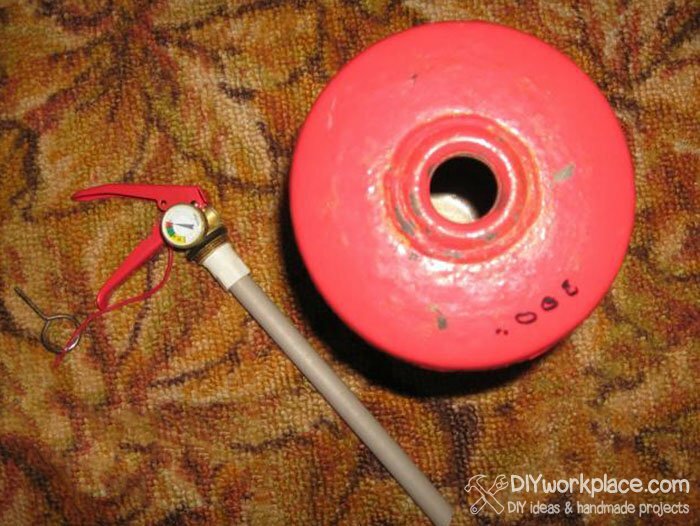 Immediately after the competition they took a it to the school museum and work on it was not possible to continue. 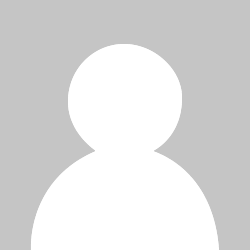 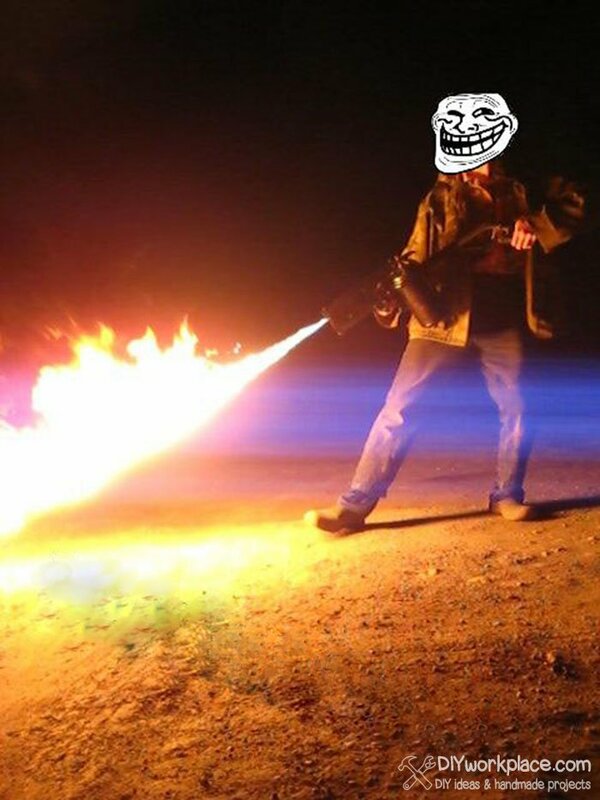 Next I will tell you how to build a flamethrower. 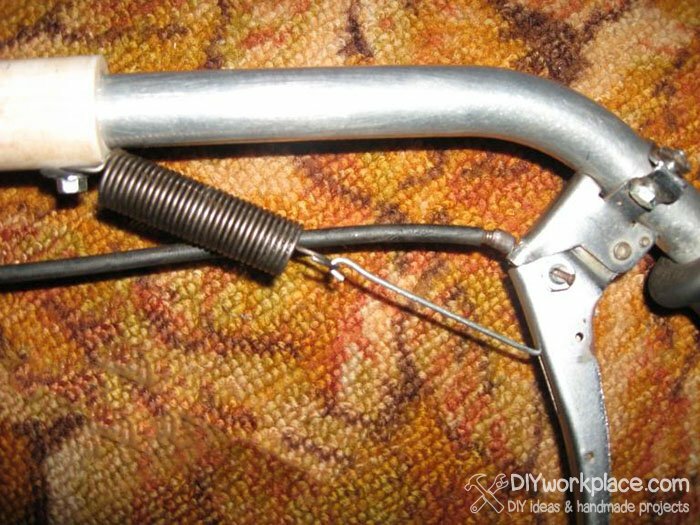 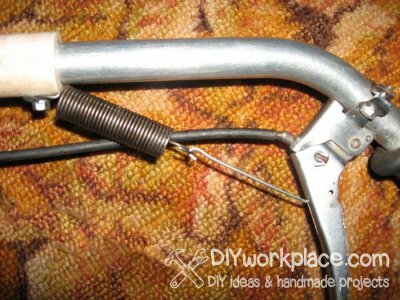 Fix a spring to handle to make it auto return. 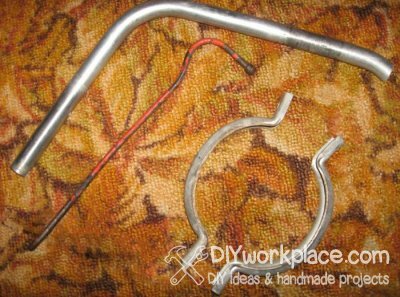 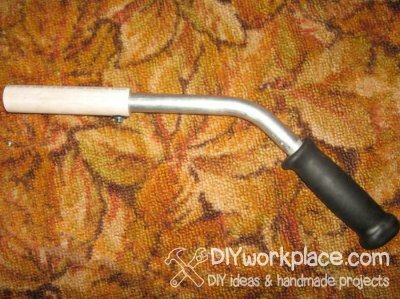 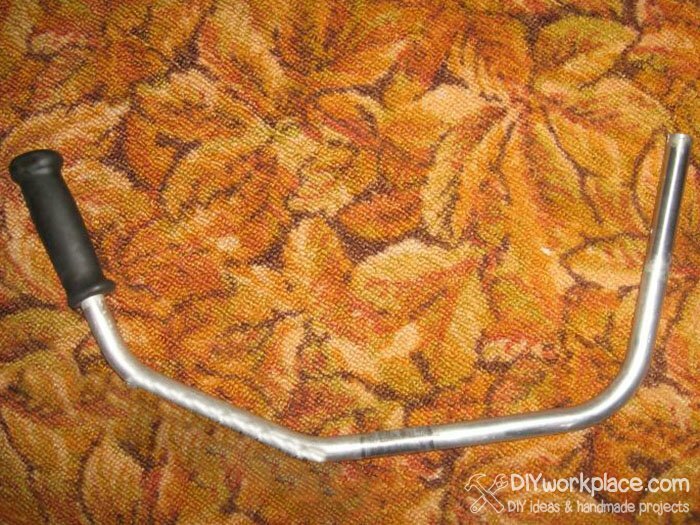 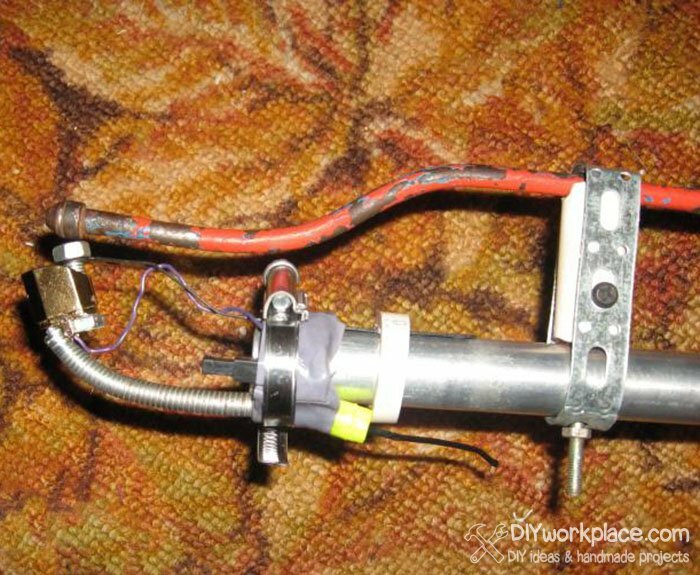 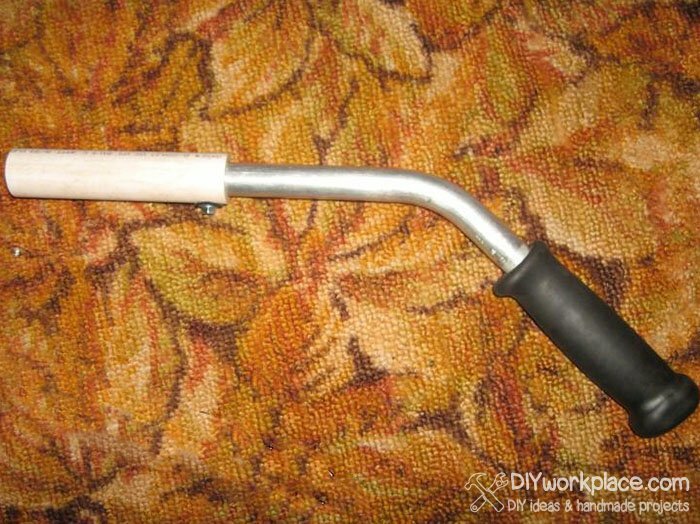 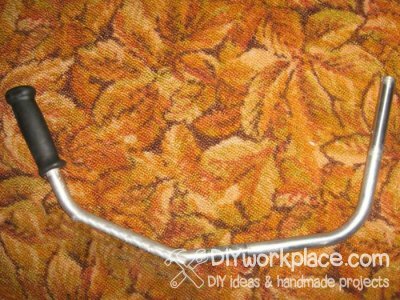 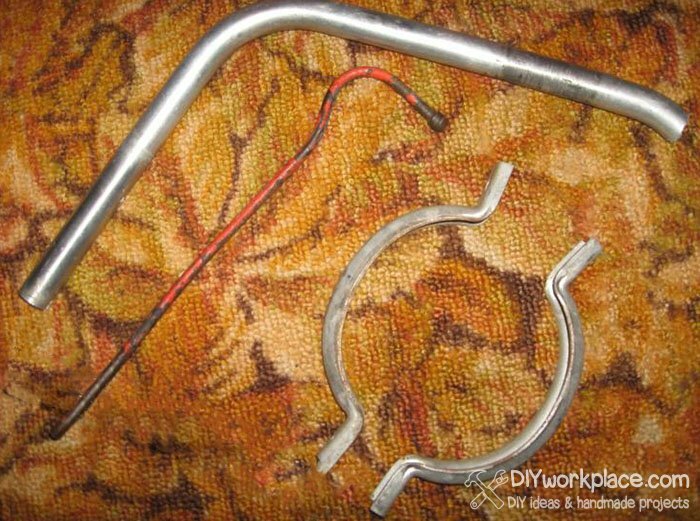 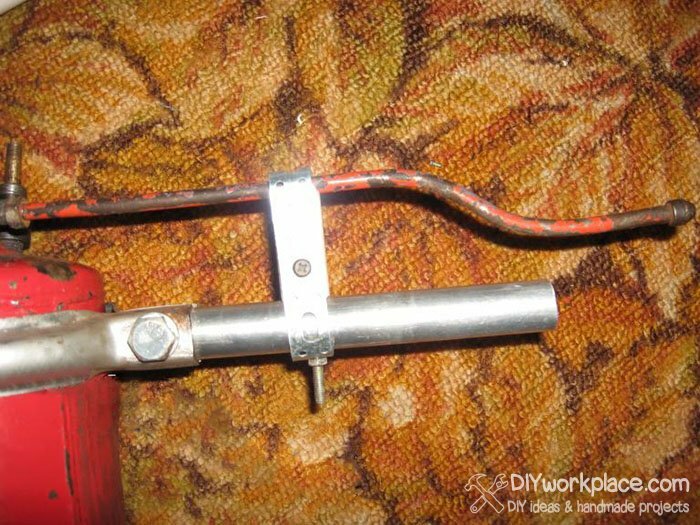 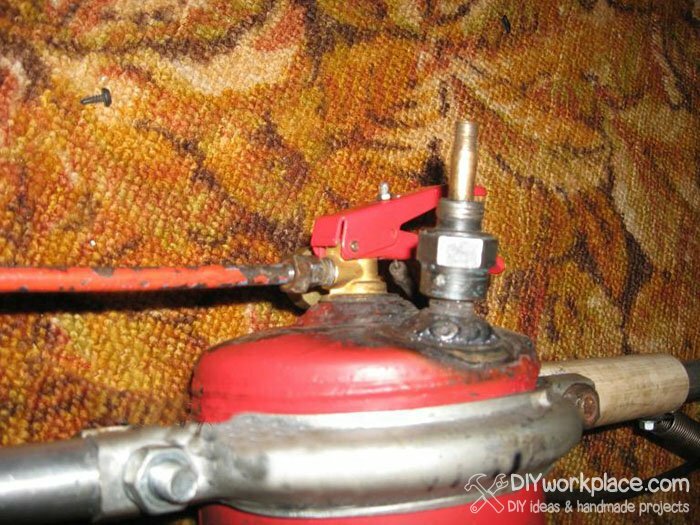 Attach a piezo from lighter to the handle tube, and fasten another lighter nearby. 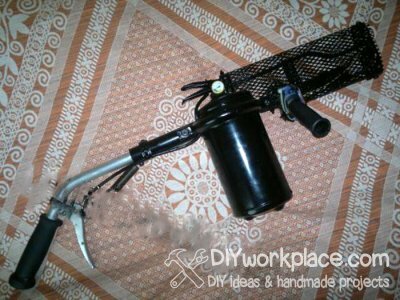 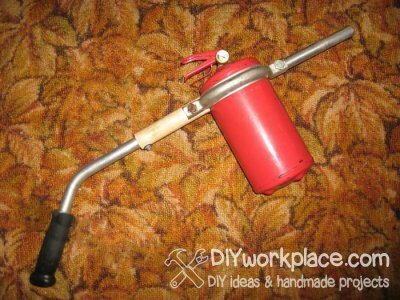 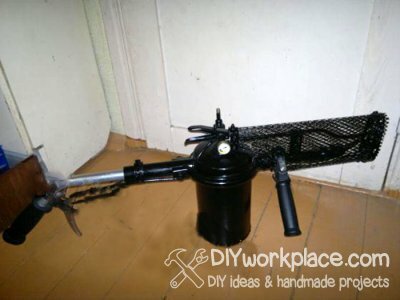 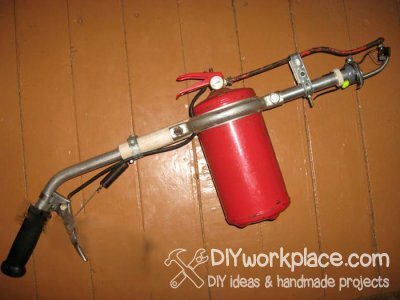 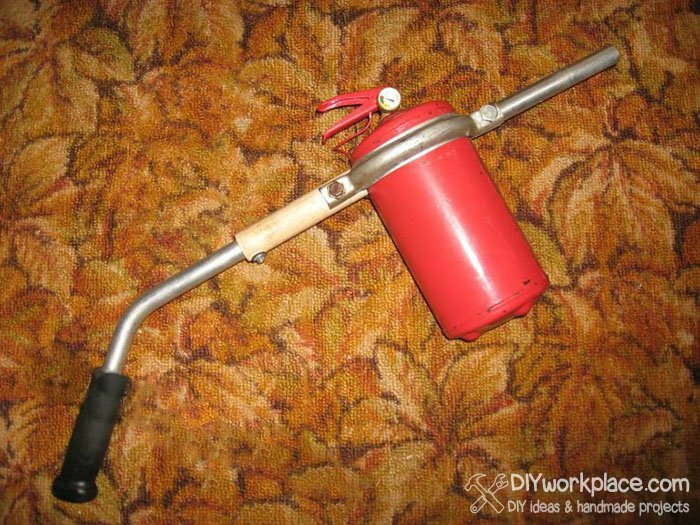 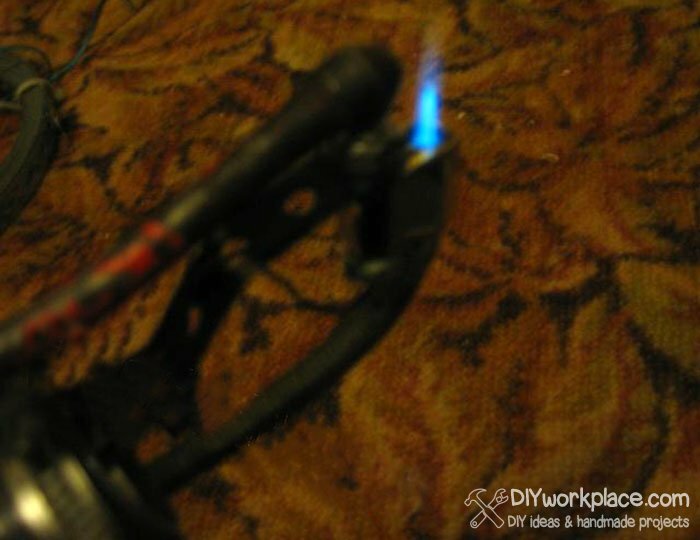 Fill your diy flamethrower with any flamable fuel (gasoline, kerosene...), then pump it with air. 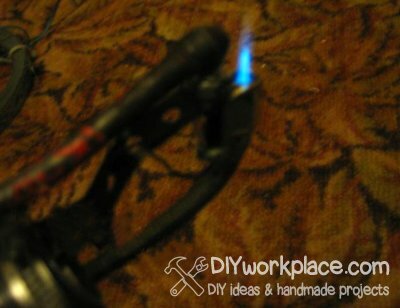 Then ignite the ignition lighter. 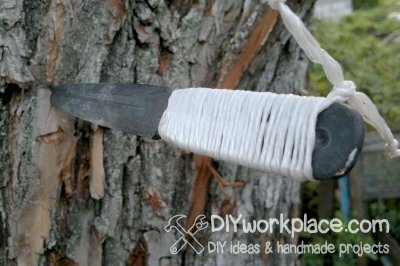 Your homemade flamethrower is ready to burn! 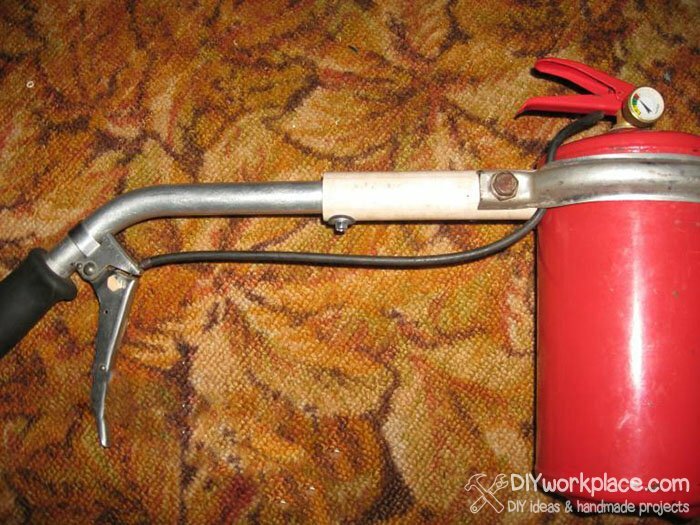 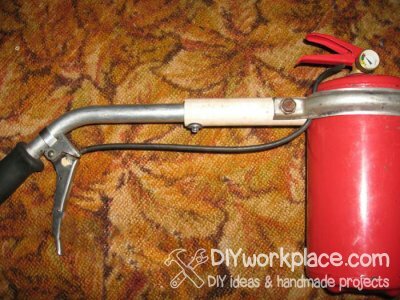 Hi, how do you connect the brake lever to the fire extinguisher?